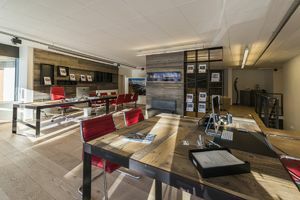 Sotheby's International Realty Affiliates LLC kündigt die Erweiterung seiner Luxus- Immobilien-Dienstleistungen in der Schweiz mit der Eröffnung des St. Moritz Sotheby's International Realty an. Led by Silvia Sbrizzai, the firm serves the high-end property market for the entire canton of Graubünden with a focus on the Engadine region. The office in St Moritz builds on the already strong presence of Sotheby's International Realty. The quality of our offered services is based on three key factors: detailed market knowledge, dynamic, precise and proven processes and a highly motivated, reliable expert team. Sotheby's International Realty boasts a network of over 16,400 sales partners in approximately 730 offices, located in 56 countries and territories around the world. Listings of the St. Moritz office of Sotheby 's International Realty can be found on the website stmoritzsir.ch. Our clients also benefit from a close relationship with Sotheby’s auction house and the marketing network of Sotheby’s International Realty worldwide. For additional information, you are welcome to visit our office or contact us on our website.